Located in the heart of Abacoa lies The Village at Abacoa. It is perfect for individuals, couples or families who want to enjoy the conveniences and joys of urban living. Those who are considering living in this community have a wide variety of choices from studio type apartments to condo units with 1 to 3 bedrooms and 1 to 2 baths. The community has a total of 413 residential and 40 retail condominium units all built in 2004. 14 floor plans are featured, ranging from over 500 to 1700 square feet of living space. Current prices vary from a little over $150,000 to low $200,000 range. The Village at Abacoa is a popular residence for many people who work at Scripps Research Institute, Florida Atlantic University and G4S. Life at the Village at Abacoa is never boring. There are numerous amenities and activities for the residents to enjoy. You can sit and relax at the community’s clubhouse or beat the heat at the community’s swimming pool or work out in the gym. 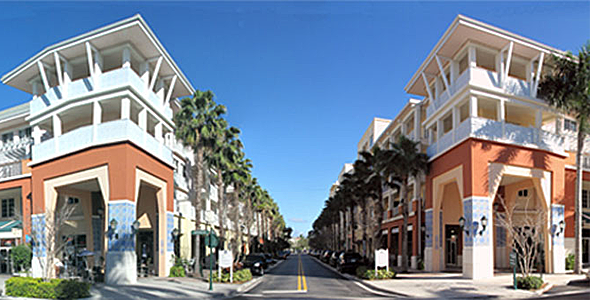 Residents can walk to nearby restaurants, sports bars, shopping centers or watch a game at the Roger Dean Stadium. The Village at Abacoa is zoned for amazing A rated schools. First floor 1 bedroom unit in the quiet section of Abacoa Town Center. Great investment property. Tenant in place until end of May. Rent is $1250 per month. Tenant would like to renew if possible. Tenant has been in place 3 years...NO ISSUES!! One designated parking spot in front of unit. Walk to pool, gym, Roger Dean Stadium and the Town Center.